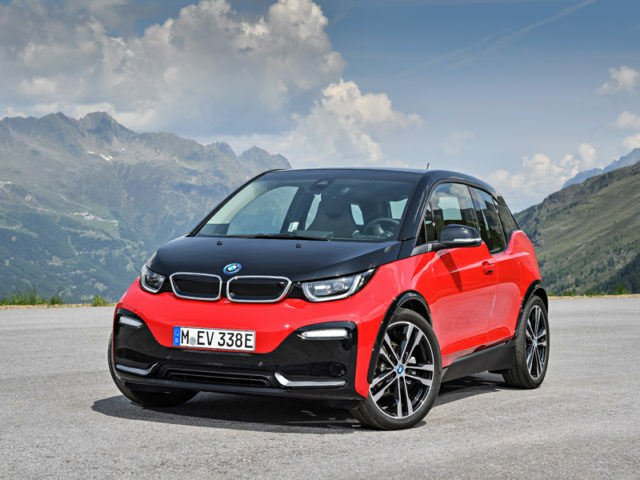 BMW has introduced a new higher powered version of the i3 electric super mini; the i3s, available with the 94Ah/33kWh battery and optional range extender. The new model will be sold alongside the existing i3, and features a higher output electric motor of 184 hp / 135 kW (compared to 170 hp / 125 kW in the standard car) and 199 lb.ft / 270Nm torque (184 lb.ft / 250 Nm in the standard i3). 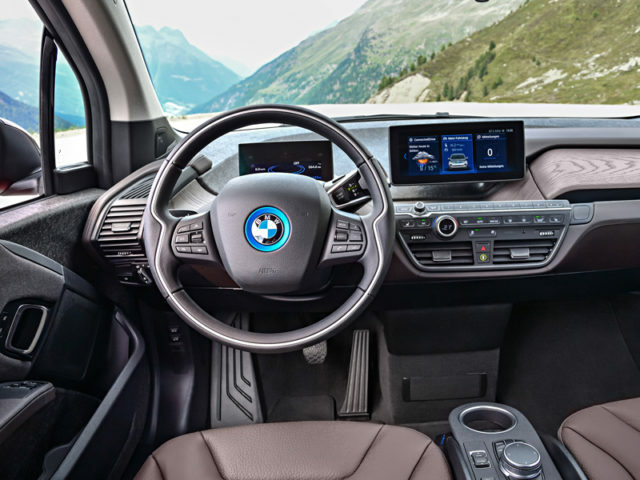 BMW say the drivetrain has been improved using an updated motor controller and special taper roller bearings, which, it says, offer up to 40% improvement over the standard i3 at the limit of the motor speed range. Acceleration is improved from 7.4 seconds to 62 mph (100 km/h) for the standard i3 to 6.9 seconds for the i3s, onwards to a top speed of 99 mph (160 km/h). The combined electric power consumption of the new BMW i3s on the NEDC cycle is 14.3 kWh for every 100 kilometres, compared to between 13.6-13.1 kWh for the standard i3. 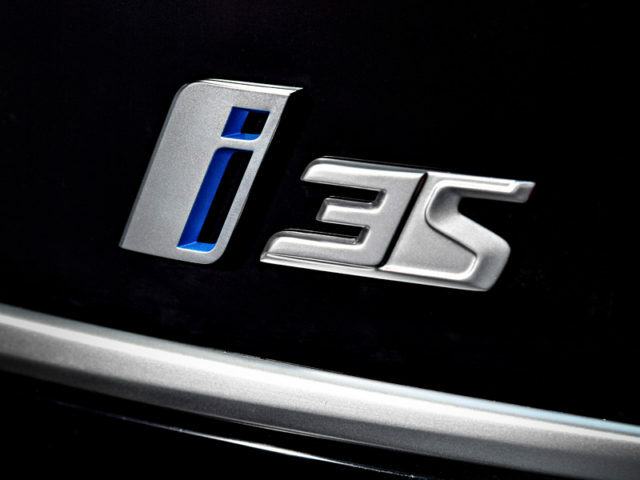 On the NEDC test cycle, the new i3 and i3s produce emissions of 13-14 and 14 g/km CO2 respectively. For the range extended i3 and i3s, combined fuel consumption is stated as 470.8 mpg (0.6 l/100 km) for the i3 and 403.5 mpg (0.7 l/100km) for the i3s, according to BMW. 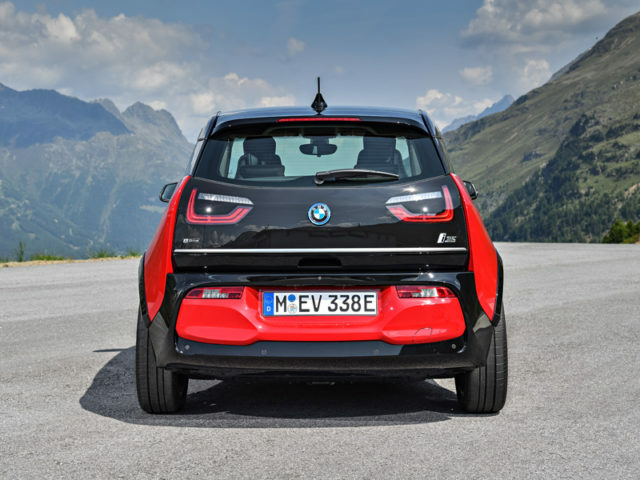 Externally, the car is little changed from the regular i3, with only minor alterations to the front and rear aprons and the addition of a chrome-design trim strip. New paint options have been added, including Melbourne Red metallic and Imperial Blue metallic. The car comes equipped with LED headlights as standard with new LED indicators formed into the front apron. Dynamically, the i3s comes as standard with a lower and wider stance over the standard i3, with a 40mm wider track and 10mm lower ride height. The i3s is also available with exclusive 20-inch double-spoke design alloy wheels, which are 20mm wider than previous versions, the company says. The global market launch will begin in November 2017.